Oxford: New Headway - Elementary to Upper-Intermediate Complete | Free eBooks Download - EBOOKEE! Posted on 2012-06-03, by gameover123. 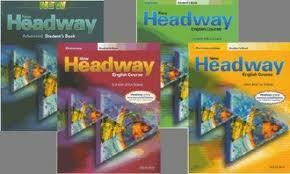 New Headway now provides a seamless syllabus progression from beginner to upper-intermediate level. It takes a clear and structured approach to grammar. Grammatical structures are introduced in context, with questions that encourage students to work out the rules for themselves. A comprehensive 'Grammar section' at the back of the Student's Books provides a useful reference before, during or after the lesson. A well-defined vocabulary syllabus concentrates on three key areas: learning new words in lexical sets; acquiring good habits for learning vocabulary; and developing vocabulary 'systems' such as sound and spelling relationships. Integrated skills work is an important feature of the course. In every unit the reading and listening activities contextualize and bring together much previously introduced language. The new unit by unit writing section in Studentâ€™s Books focuses on developing studentsâ€™ written English in a range of situations and registers. The choice of interesting texts, together with manageable, motivating tasks ensure students develop fluency and accuracy in all four skills. No comments for "Oxford: New Headway - Elementary to Upper-Intermediate Complete".